Once, towns strewn across Turkey and Afghanistan owed their economies to the western appetite for the kaftan. During the 1970s travellers on the hippy trail brought back pottery, soft furnishings and piles of clothes to remind them of their spiritual adventures. 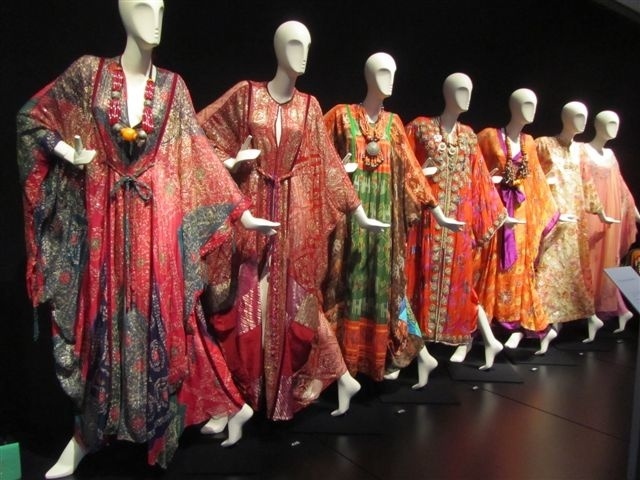 More than 40 years on, the kaftan has had several revivals as a key fashion piece. And, like Indian cuisine, it now seems to have been adopted as a British staple. 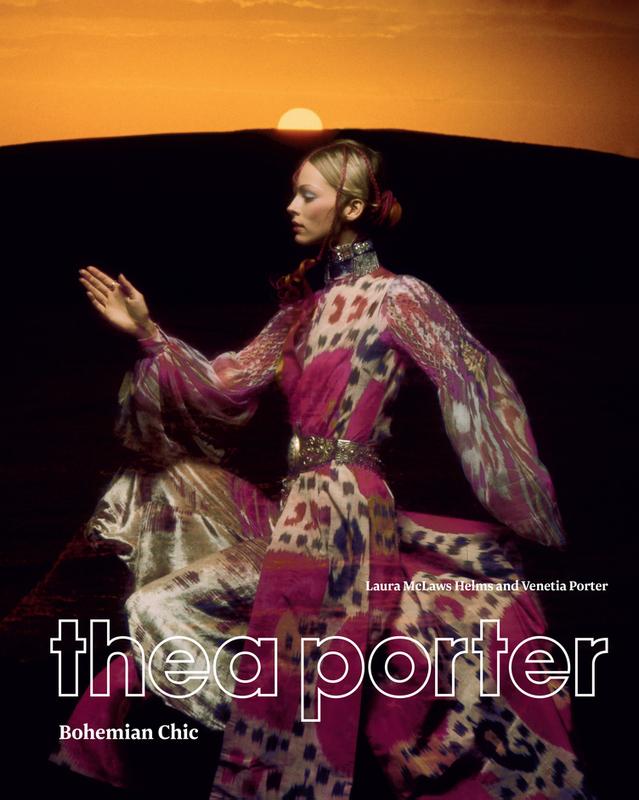 It is the late Thea Porter, who is credited with bringing the bohemian look to London catwalks…. Thea Porter was born Dorothea Noelle Naomi Seale, on 24 December 1927, in Jerusalem and raised in Damascus. She was the daughter of Morris S. Seale, the Arabist and theologian, who was a Christian missionary in Syria, and his French wife, who was also a missionary. Thea was educated at the Lycée Française in Damascus, Fernhill Manor, then for a short time studying French and Old English at Royal Holloway College, London, before being expelled. Following her studies in England, she worked in the library of the British embassy in Beirut, where she met her future husband, Robert Porter. Together they travelled to Jordan and Iran, and had holidays in France and Italy. She studied painting during the day, and “went to nightclubs every night and had millions of clothes.” In June 1961 Thea had her first solo painting exhibition at the Alecco Saab Gallery, Beirut. Together they had a daughter, Venetia. After she separated from her husband, Thea moved to London in May 1964. Her first job was in interior design, working for Elizabeth Eaton. 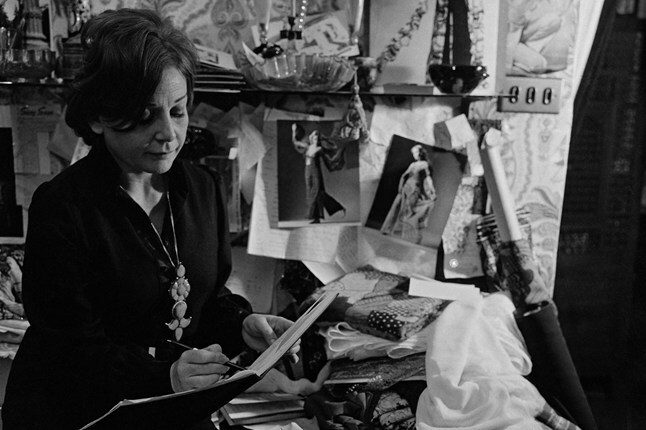 She opened her first shop, an interior decorating business offering imported cushions, fabrics and hangings called Thea Porter Decorations Ltd, in Soho at 8 Greek street on July 27, 1966. She realised that rather than just cutting up her imported kaftan to use the fabric for cushion covers, they were fashionable in their own right, and began making up her own in mixed fabrics and antique trimmings. 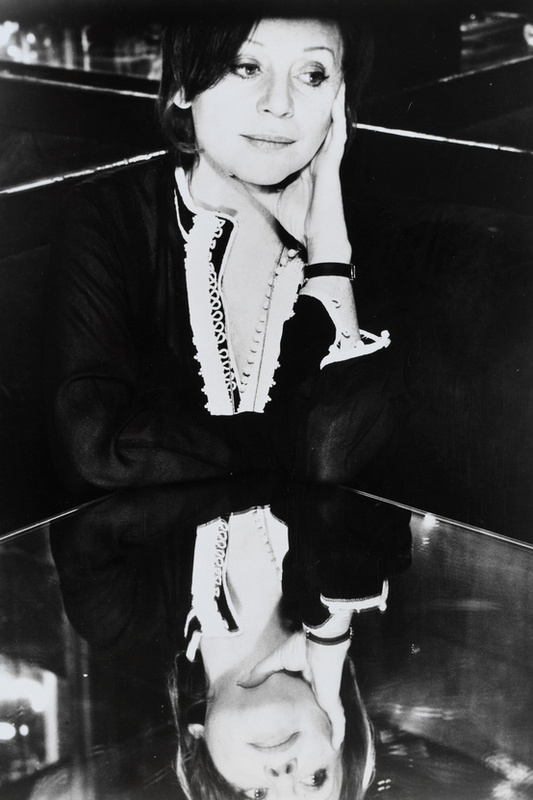 From 1967, she expanded internationally; her first wholesale client was Henri Bendel in New York in 1968. 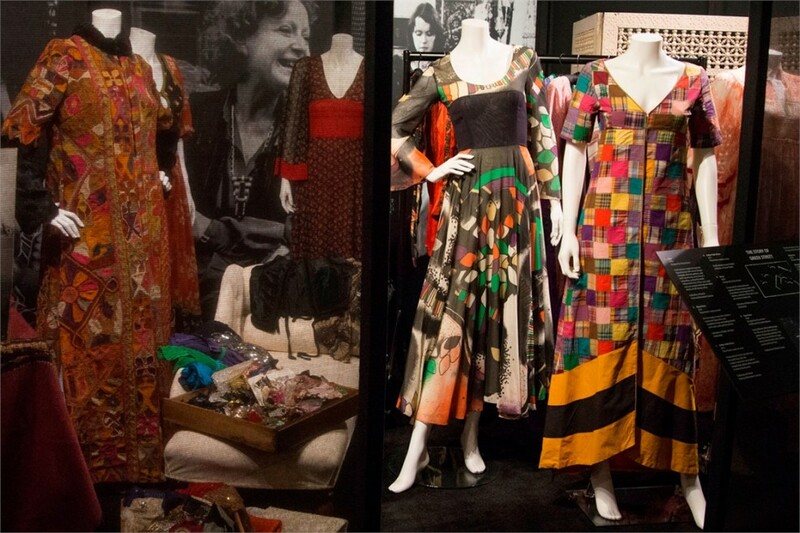 In 1971, Thea opened a store in New York financed by Michael Butler, the producer of the hit Broadway musical Hair. 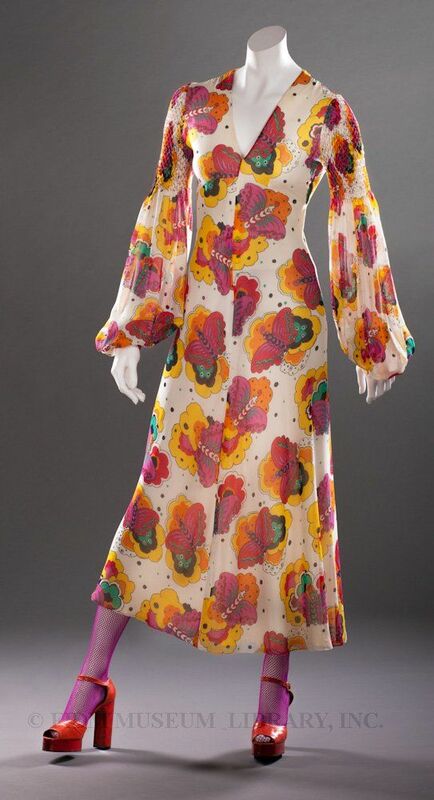 It closed after six months, but she continued to sell very successfully at high-end boutiques across the United States; Giorgio Beverly Hills sold approximately $300,000 worth of Thea Porter designs per year in the mid-1970s. 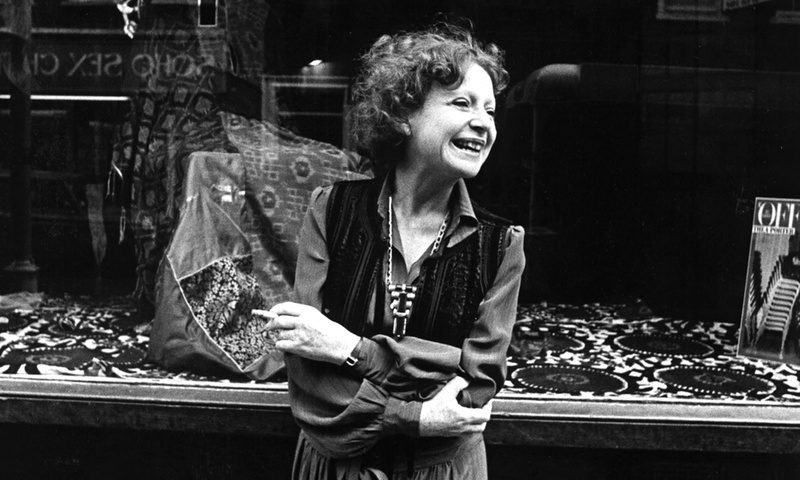 On April 1, 1977 she opened a store in Paris, on the Rue de Tournon; this closed in 1979. Thea Porter Decorations Ltd went into receivership in February 1981; she subsequently worked from ateliers on Avery Row and Beauchamp Place. 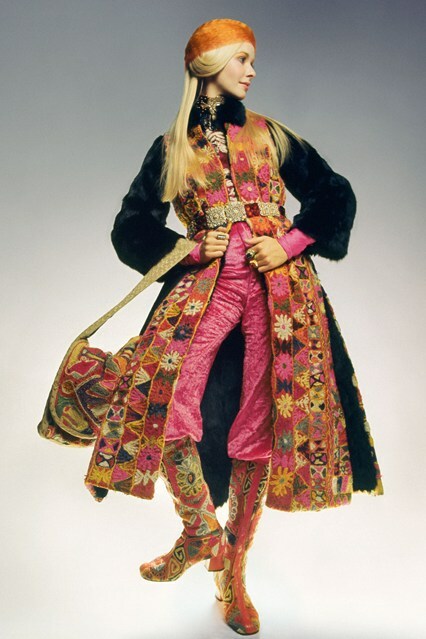 Zandra Rhodes has stated, “Sadly, one didn’t hear of her after that“. In 1994 Thea was diagnosed with Alzheimer’s disease. Thea Porter died in London on 24 July 2000. 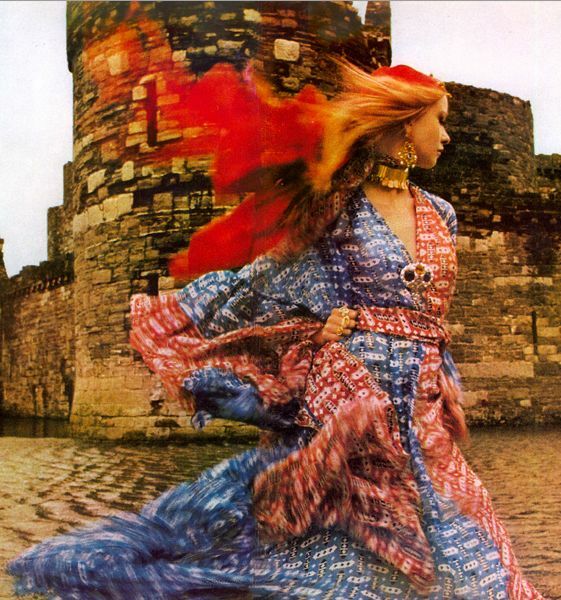 Though she’s no longer a household name, Thea Porter basically owned the boho look from the late 60s onwards. Thea was born in Jerusalem, grew up in Damascus and studied in Beirut. 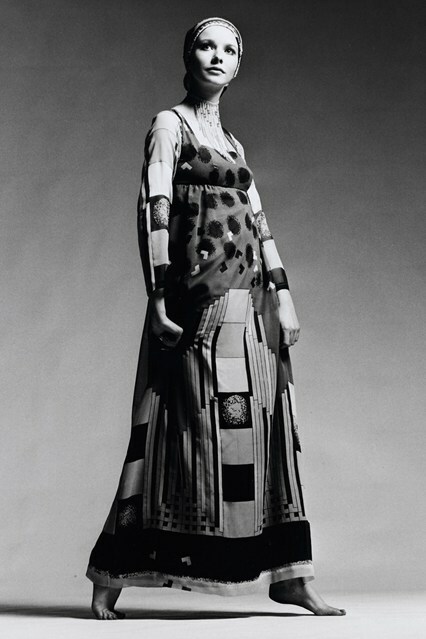 Eventually settling in London in the mid-60s, the influences of her upbringing made her designs feel new. 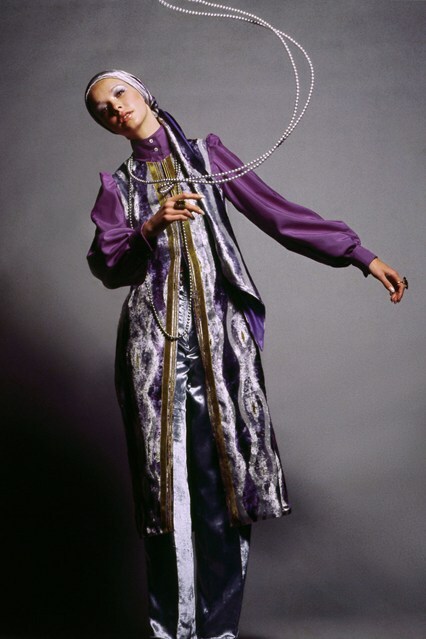 She brought the flowing robes and rich textures that she’d seen as a child to a London crowd who had been dressing in the Op Art and modernist styles of the early 60s. Moroccan djellaba robes, Iraqi Samawa carpets and 17th-century Persian paintings were all inspirations. 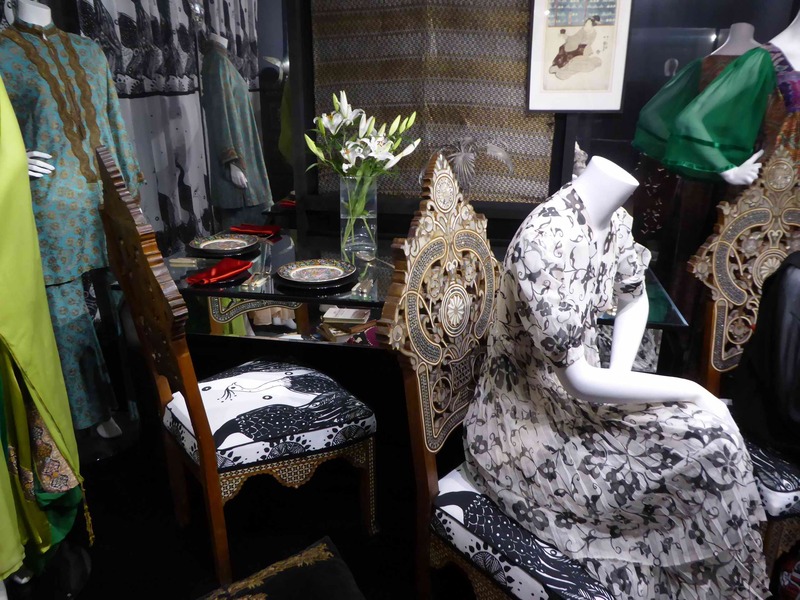 A shirtdress made from the Damascus tablecloth fabric, aghabani, became a bestseller. Her first shop, on Soho’s Greek Street 8, was quite the hangout. It opened in 1966, and sold Thea’s ornate, colourful furnishings, including wall hangings and curtains. The Beatles snapped them up to decorate their short-lived Apple Boutique. Rock royalty liked her menswear designs, too. 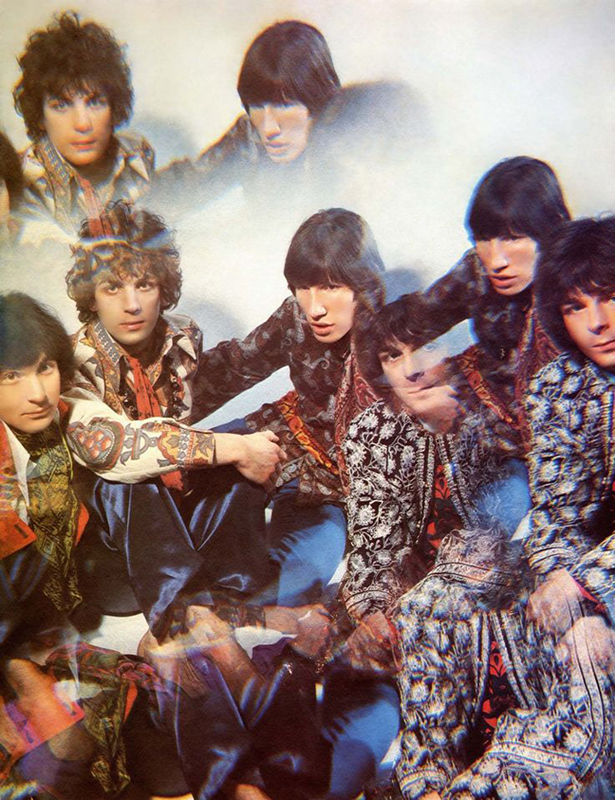 Elton John was an early fan and Pink Floyd wore her embroidered jackets and vibrant shirts on the cover of their appropriately trippy debut album The Piper At The Gates Of Dawn in 1967. 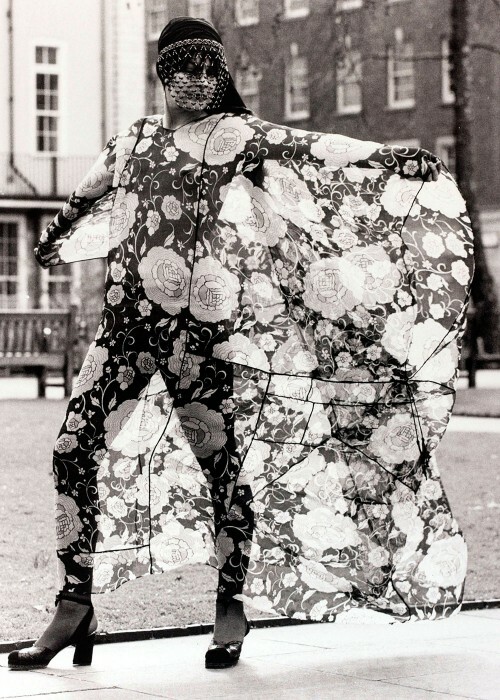 Thea fitted into the floaty, feminine mood of the time that other designers – Bill Gibb, Ossie Clark, Laura Ashley – were also exploring, but made it her own with several signatures. 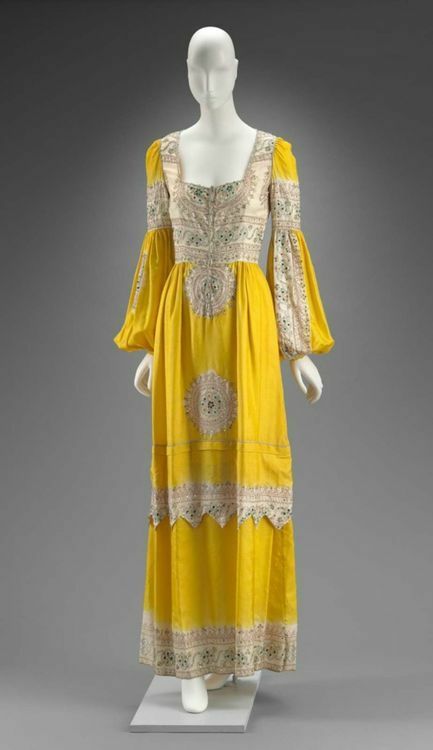 Along with the aghabani shirtdress, her so-called “gipsy” dress – layers of vibrantly printed chiffon, with a tight bodice and flowing sleeves – had the requisite wild romanticism, especially when worn with swashbuckling boots. 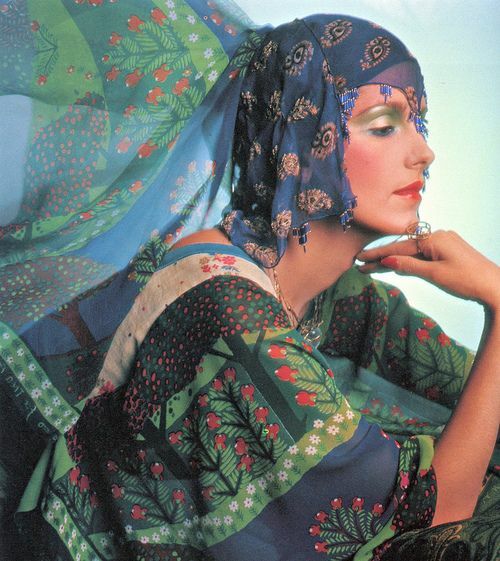 By 1969, Thea had expanded overseas, with a concession in New York department store Henri Bendel. 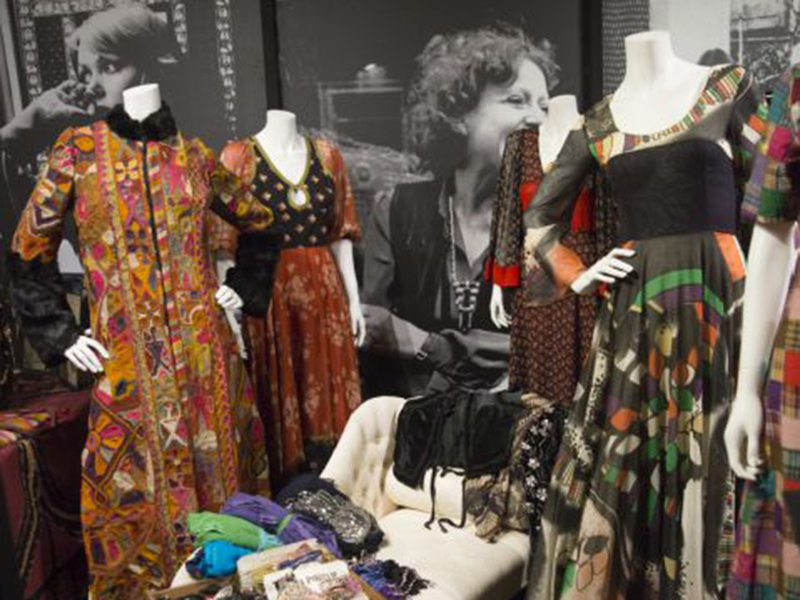 A stand-alone store followed in 1971, and she sold her designs successfully in LA, too. Her success partly came from an ability to evolve her aesthetic. 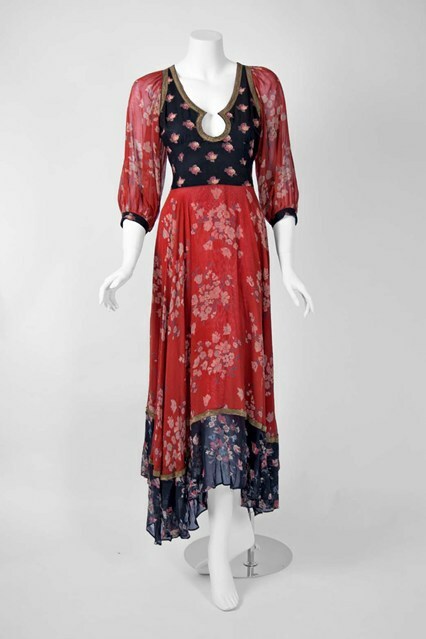 The very ornate designs gave way to simpler pieces in the 1970s, influenced by the classical lines of 30s fashion. 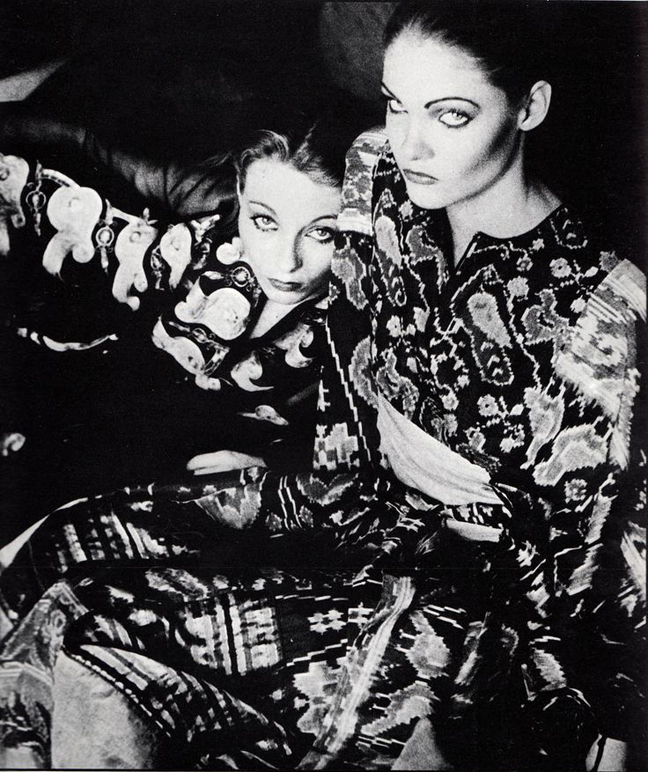 At this time, she also hired a young Katharine Hamnett who worked for Thea while still studying at Central Saint Martins. 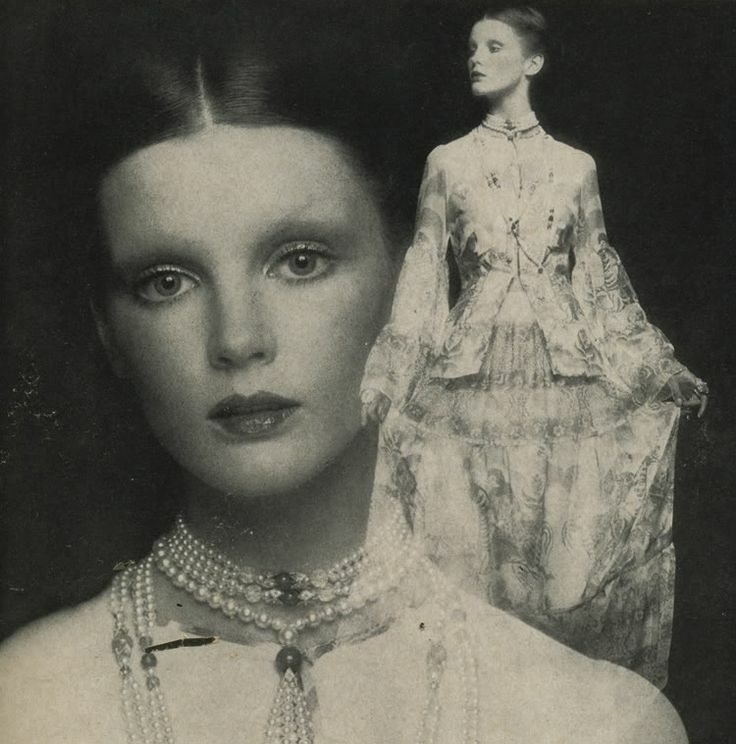 A regular in the pages of British Vogue – where luminaries including Lauren Hutton, Penelope Tree and Rudolf Nureyev modelled her clothes – the likes of Barbra Streisand and Faye Dunaway were clients in the Greek Street store and Elsa Peretti modelled in her shows. While Thea’s name faded into obscurity in the 1980s and 90s, it’s since become a cult favourite on the vintage scene, with original pieces fetching more than £1,000 on eBay. 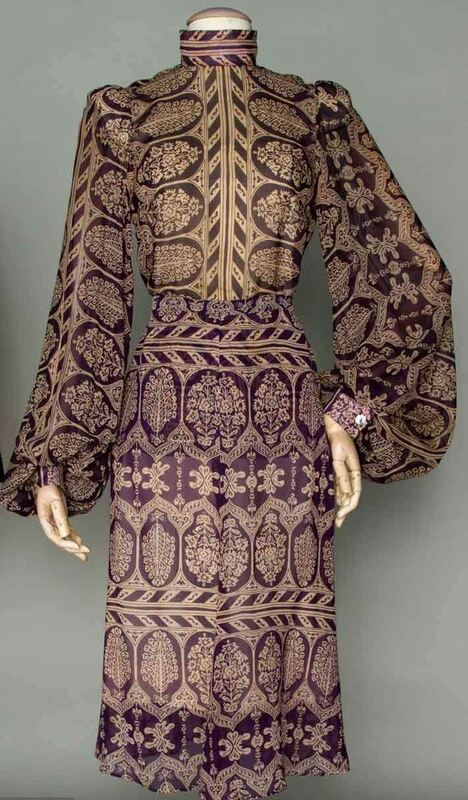 Thea Porter (1927–2000) came to epitomize bohemian chic in the 1960s and ’70s, using an eclectic mix of luxurious fabrics for her signature flowing dresses that became favorites of stylish women everywhere. Faye Dunaway, Joan Collins, Barbra Streisand, and Elizabeth Taylor were fans; Vogue’s Diana Vreeland championed her clothes; and today vintage Thea Porter is worn by Kate Moss, Nicole Richie, and other fashionistas. This first book devoted to the UK-based fashion designer features new photography of her fabulous clothes and jewelry as well as press clippings, sketches, and excerpts from an unpublished memoir she wrote about her aesthetics, philosophies, and work.